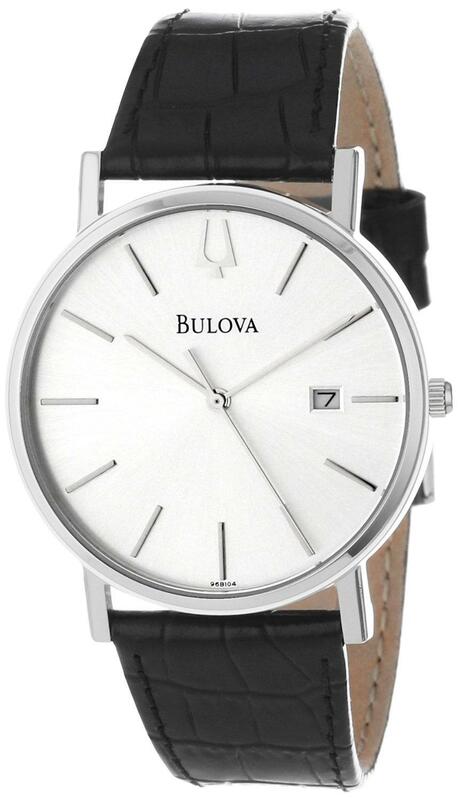 An elegant dress watch detailed in diamond accents, by Bulova. 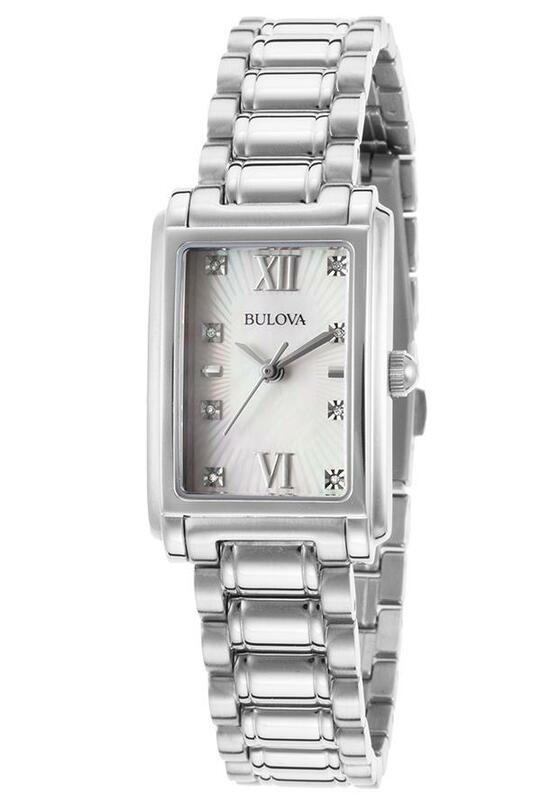 Stainless steel bracelet Rectangular case, 35x23mm. 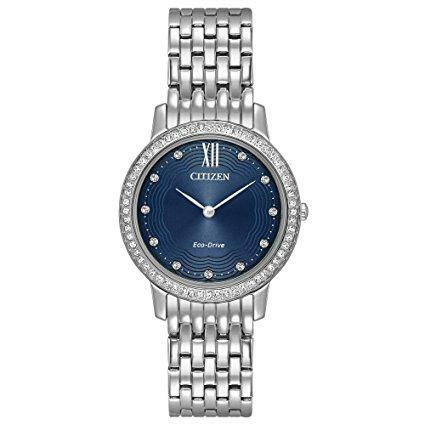 White mother-of-pearl dial with silver-tone Roman numerals, indices, three hands, logo and diamond accent markers. Quartz movement. 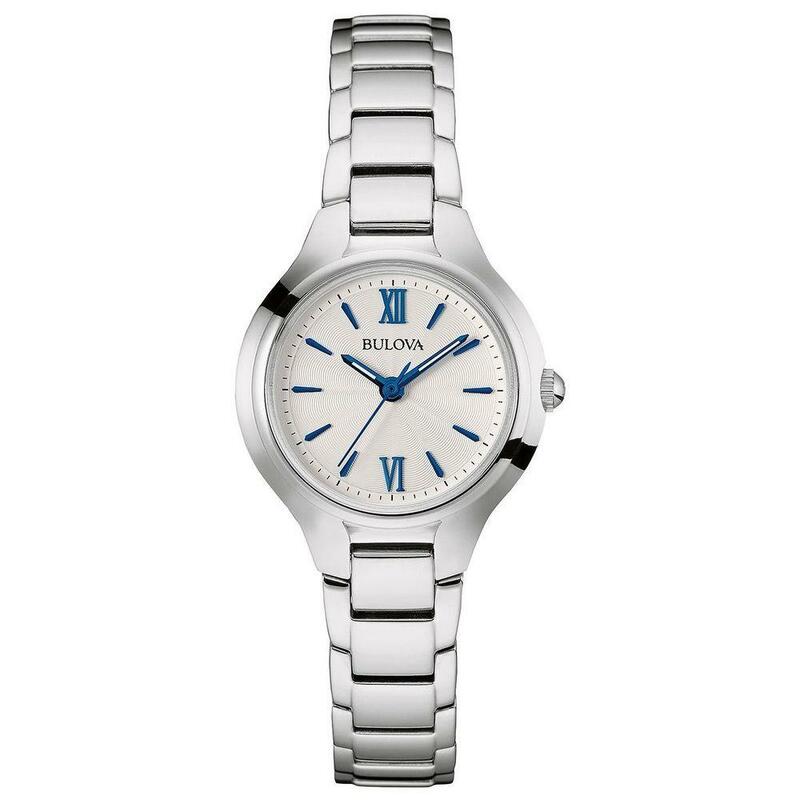 Water resistant to 30 meters Three-year limited warranty.